The North Cotswold Hunt were spotted yesterday, 25th January 2017 near Aston Somerville, just South of Evesham and in the North Cotswolds cull zone. Today it was intended to sett check post hunt but we didn’t just find a blocked sett. 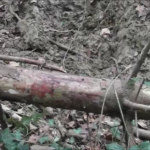 A large sett was found within half a mile of where the hunt were seen and as expected it was blocked (the badgers had not managed to get out overnight). On closer examination it became clear that the sett had been dug out and filled back in again. There was also evidence of historic blocking at the site. There was blood strewn a fallen tree, leaves and brambles along with intestines, skin, liver, red fur and other bits of tissue. There were hound prints everywhere and signs of hounds marking as well as trying to claw their way into the sett. 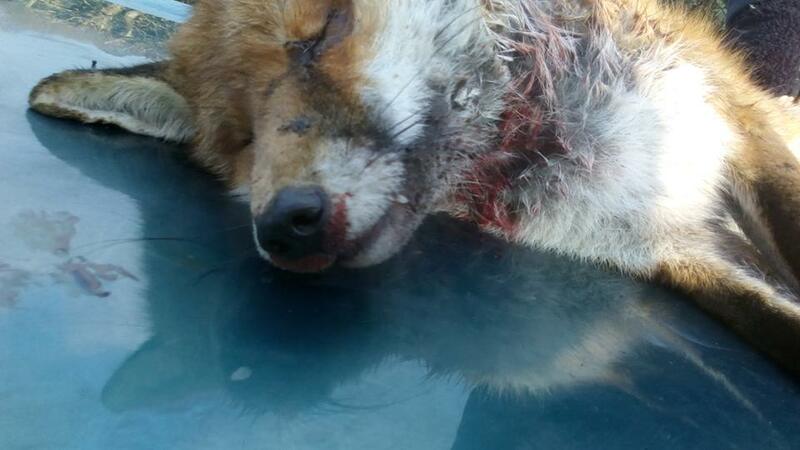 We have no idea whether this fox had been fed to the waiting hounds alive or dead. What we do know is that both fox and badgers within this sett must have been terrified as they sent terriers in and dug down. Multiple hoof prints from the mounted field and the quads were within yards of this atrocity. The police were informed and some entrances were unblocked so that the badgers can now get out. 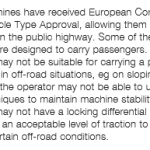 They could have easily followed their own pre ban guidelines and unblocked those entrances but why bother? They had their fun and that was that. Come September they can kill them in a government sponsored cull. If you see a hunt in your area please check where they have been, you could save a life! The Cotswold Vale Farmers’ Hunt met in the Sandhurst area at Moat Farm Bed and Breakfast on Saturday morning. Throughout the day, no surprise here, Simon ‘Scatterpack’ French lost control of a number of his hounds, the pack split on occasion and loose hounds were being gathered up all over the local area. Two braces (pairs) of foxes were spotted inland down by the river. One of the foxes from the first brace ran south and crossed the road in front of our sab driver whilst the other was chased north. A second brace bolted from a covert where hounds were speaking and the line continued up into the hills. Instead of spending time drawing the coverts atop the hills, he quickly took hounds back down the other side and across country. When we caught up with him again, he was making phonecalls, whilst holding half the pack up on a double blind bend of a road, trying to find out where the rest of his hounds were. It was at this point that we heard from our friend from Welsh Border Sabs that she had found a warm, dead body of a fox near to where hounds had been spotted and where the terrierman’s quadbike had driven through near the hills. The same area where we caught terriermen Nick Hodges and Ben Hughes last month after we believed hounds had chased a fox into a hay barn where he sought shelter. Hodges had been seen ‘slyly’ pointing out the location to Mike Smith whilst Hughes was spotted searching for the fox at the barn. With the fox being relatively clean and still warm with what appeared to be a bite puncture wound in her throat, those who found her thought she may have been caught and killed by a single hound (there are numerous stories of single hounds over the years going off and doing their own thing whilst the rest hunt as a pack). Unsure as to what had happened, we posted what we believed could have occurred and took her body for a post mortem. Comments in their hundreds came in on the photos, including many pro-hunters claiming that it was a clean rifle shot or a shotgun wound. With the puncture wound going into her throat, not her chest, from the front, the fox would have had to have been looking up at the shooter straight on and an exit wound would have been expected from a rifle shot. As for shotguns, there is usually more than one single entrance wound as shotguns shoot pellets. With the post mortem results coming in this morning, it has been confirmed that it was indeed a shotgun wound. 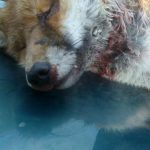 The trajectory was confirmed and the fox was shot straight on, through her throat and the pellets destroyed her neck, throat and caused severe damage to her chest area. There were post mortem bites to her face. It was confirmed that the shot must have been taken from almost point blank range. So… an otherwise healthy fox, no injures to suggest that she had been hit by a car, for example, and was being put out of her misery, found shot at point blank range at an angle that would not make sense from a normal shooting poisition and with post mortem bites to her face. Without accusing anyone of anything in order to avoid the inevitable complaints that we’re trying to make the hunt look bad, it would appear that she was either restrained or was backed up somewhere seeking shelter (i.e. in a hay barn between bales) and was shot at point blank range before being dragged out by a small dog and her body dumped nearby. We will continue to talk to locals regarding what was seen on the day and may have further updates. If you have any information regarding the hunt, please contact us anytime. In the meantime, please support us if you can – paypal.me/threecountiessabs – as we pay for a lot out of our own pockets and rely much on the amazing support from our followers and friends (thank you! ), RIP to the beautiful fox who was killed so horrifically and please also like and share Welsh Border Hunt Sabs as they are a great bunch of people, always a pleasure to work with. We’ve just had a tip off that one of the Ledbury Hunt terriermen is Lance King, possibly from the Staunton/Ledbury/Newent area. Previously he was a South Herefordshire Hunt terrierman. He was present when terrierman Ross Loader attacked Bristol Hunt Saboteurs, he is seen in a photo stood over a sab with his fist clenched. We will be forwarding his name to the police. With his name it will be easier to report him to the police for wildlife crime and violence in the future! Once again, we met up with Three Counties Hunt Saboteurs and we paid a visit to the Cotty Vile who met in the village of Sandhurst. With most hunts cancelling due to the hard frost, and with Simon’s reputation for falling off, we didn’t expect them to leave the meet. Alas, a little later than normal, they skulked out of the back of the farm and headed off towards the river. Hounds were soon in cry and riders were seen on point in a field of sheep! Clearly the hunt don’t want lightning to strike twice, this time the farmer might not be quite so understanding. With Simon clearly heard hunting them on in an area almost inaccessible for any trail laying, sabs used voice calls and whipped back hounds, lifting their heads and giving the fox time to make his escape. After moving to another cover, hounds went into cry again. A 3 Counties sab filmed a brace escaping out the back of the wood whilst we called hounds out of the front. Another fox ran past another 3 C’s sab across a road whilst the hunt moved off and up onto the top of the hill. We had at this point reached that oh so familiar point in the day where Simon lost some of his hounds. This is pretty much a given where old Scatterpack is concerned. 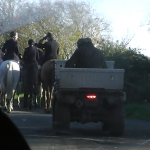 As some sabs watched his pathetic attempts to gather up his pack, other sabs heard hounds in cry at Twigworth. and when they entered the field to investigate, could hear hounds speaking in one field and found the still warm and bleeding body of a young vixen in the next. At this point we were joined by Bristol Hunt Saboteurs South Wales Hunt Saboteurs and Bath Hunt Sabs as the hunt moved back up the hill. With hounds in cry again, all five groups worked together to call hounds off and when asked if he was going to claim the kill, Simon looked very “Sheepish” indeed! But inch high private eye Nick Hodges was happy to take credit for her death. On their last draw,one fox was seen running to safety as sabs rated hounds once again. As the light failed, the hunt headed back to the meet. We will update this report when the details of the post mortem are known. Welland Lodge, Upton. The day started in the Stanks, they then crossed over to Queenshill where some numpty shouted “tally ho over”, apparently he had seen the trail layer… hmm, yes… a small, red, furry four-legged one. They seemed to abandon that one and off it was to the Leeke clan’s Manor Farm, Longdon where they hunted just prior to second horses. A fox ran through unseen but by the sab driver who covered his line with citronella. Then they went inland for the afternoon and spent about an hour gathering the pack at the end finishing at 17.00. Our day was longer as we had to unblock a badger sett in the dark and check others. Four of those checked were blocked, 3 were OK.
Summertime sett surveying really pays off for sabs both for any roll out to Worcestershire and for the persecution of badgers by the Ledbury, some farmers, badger baiters and so forth. What we found was that nearly every sett had spade marks, many had signs of dig outs. All of the setts we found blocked today have been vandalised before. This is an all year round vocation, if you can please support us by sharing our page, continuing to give us information (the 2 phones ring daily) and by donating, it costs £50 – £100 a week to keep us going with fuel, SD cards, etc without any unexpected bills (e.g 4 slashed tyres at the Heythrop was £300). The Ledbury Hunt just chased a fox, who got away, on Castlemorton Common in front of Malvern Hills Conservators (who were monitoring their activities) and Three Counties Hunt Saboteurs. The Conservators have called the police and called a hunt master to ask hunt to leave the fox alone – they will be holding a meeting regarding the Ledbury soon. We applaud the Conservator’s efforts to monitor what the hunt are doing but call on them to simply ban the hunt from the land to avoid disturbances to wildlife, intentional or accidental chasing/killing of foxes and violence towards anti-hunt saboteurs and monitors. We had a few days off last week with the weather playing havoc for a few hunts here and there – the lanes by the Ledbury Hunt kennels on Friday morning were a difficult drive for anyone not in a 4×4… we know! On Saturday 14th January, some of our group met up with Welsh Border Hunt Sabs and paid a little visit to the Ross Harriers hunt while a couple of us met up with some of Cirencester Illegal Hunt Watch to monitor the activities of the Cotswold Hunt who were over near Turkdean again. A few weeks ago, the Cotswold Hunt blocked setts in the Turkdean area before a meet. 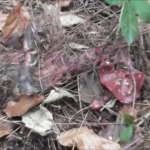 Just a week earlier many of the same setts had been blocked by the Heythrop Hunt, and the same foxes faced being hunted once again – see the report here. 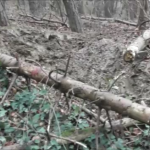 With the police having come out to unblock the sett entrances and keep an eye on the hunt, it would appear that terriermen and supporters had been asked not to block one of the setts and instead were found standing around it having conversation – a tactic seen at some hunts when the landowner does not want setts to be blocked or the hunt are worried about being caught. With people standing around the sett, foxes are unlikely to run to the sett to go to ground and escape the hounds. We got footage of the sett and the men around it, then left before hounds drew through the wood – we didn’t want to help them do their jobs by being extra bodies in the area. The landowner came to have a word, but quickly left when confronted with questions about the sett and illegal hunting. Hounds did not manage to pick up properly on a scent in the wood and moved on to other coverts. Supporters were heard as they holloa’d a fox (or perhaps a brace) and one sab managed to get the hounds to lift their heads when she also holloa’d (obviously away from the line of the fox) meaning they lost the scent for some time, giving the fox time to get further away. Meanwhile, another foot team were back in the original covert, supporters having left the sett alone, and responding to another holloa from other supporters. The same fox or part of a brace (pair) of foxes? As the fox ran past them, they sprayed the line. One supporter made a show of entering the wood and pretending to lay a trail, but his efforts were wasted when the hunt then bypassed the wood completely, attempting to pick up on the scent of the fox elsewhere. They failed. Across the A40 now and into an area where other setts had been blocked, but the scent must have been patchy as they struggled to pick up fully. So back on to, down and across the A40 they went (Cirencester Illegal Hunt Watch should have footage of this). They packed up earlier than we expected, hopefully having had less of a fun day than they expected and we headed off to report a number of offences. As always, thanks to CIHW, it’s always a pleasure to work with you. Please check out and ‘like’ their page. Please help us out with expenses (fuel normally being our highest cost) if you can at paypal.me/threecountiessabs Thank you! On October 24th 2016 the North Cotswold Hunt met close to Honeybourne at 9am for a cubhunting meet, attended by two of our sabs and another friend. At around midday we found the hunt in a small wood in the Broad Marston area. We thought hounds were marking to ground (where hounds indicate that fox had escaped below ground) based on the noises they were making and the fact that huntsman, Nigel Peel, was on foot with the pack. As the hunt moved off from the area, two of us went into the covert where they had been, having spotted two quadbikes parked on the treeline, one of which was the terrierman’s quad. With his mates running off through the woods, we then found terrierman Will Haines on his own, crouching down by three spades covered by a jacket, a freshly dug hole a few metres from him and entrances to the nearby badger sett freshly blocked with earth. We called the police. The sett is believed to be within the Gloucestershire badger culling area. The other two guys returned once Haines had been caught and they took the spades, carrying on to follow the hunt – hounds were in full cry again in nearby woods. Despite the best efforts of the “sab bashers” (Molly’s own words) Tabitha and Molly Rogers whose role it is to stalk sabs whilst we’re out at the hunt* and who were playing loud music, a sab thought she could hear a muffled barking from the sett. When they had left the area and we were waiting for the police, a terrier with a locator device on her collar came out of the sett and we called her out of the covert, picking her up to give to the police as evidence. With a suspected bite to her chin (she had blood on her chin and neck and a fresh hole under her chin) and no hunt staff in sight, two of us took her to find a vet whilst the other sab waited for police while guarding the sett from further interference. With confusion as to which police force covered the area (the 999 call went through to Warwickshire, West Mercia first turned up then realised it was Gloucestershire police jurisdiction) police took almost two hours to arrive at the scene. Just minutes before their arrival huntsman Nigel Peel, terriermen Will Haines and friends, Molly and a local woman accused the sab at the scene of stealing the terrier. With police wanting to speak to sabs about the alleged theft, the other sab left terrier with trusted friends to get her to a vet and came back to talk to the officers. When she was later arrested for theft as officers were not interested in the offences committed by the hunt and terriermen and who were intending to give the terrier straight back to them*, these friends moved the terrier to a safe house due to suspected abuse. If the case ends up in court, a vet report will be submitted as part of our evidence. We’re concerned that someone can claim that their terrier is a much loved family pet and then abandon her in an active badger sett with a panicked fox who was seeking shelter. It took them two hours to accuse us of theft despite the fact one sab had not left the area. No responsible person would enter a terrier into an area to face off with a frightened fox, never mind in an active sett where any number of badgers could be resting during the day, never mind then leaving her for almost two hours. If Haines had been brave enough to admit having put her into the sett in the first place, sabs would have told him to call her out and backed away whilst he did so – we let Ledbury terrierman Oscar Bates call his terrier Nel out of a drain in Tirley. Whilst we no longer know the location of the terrier as she has been passed down a chain of trusted people, we know she is now safe and settling in fine at her new home due to messages passed back up the chain. A terrier was found in the West Midlands recently with serious damage to her face who was suspected to have been used in badger baiting – see this article in the Express. Even if this is the case, a terrier could just as easily be injured by a badger whilst being entered into a sett to find a fox taking shelter within. On Wednesday 28th December, our sabs split up to attend two hunt meets – the Ledbury Hunt in Castlemorton (who went on to assault members of Bristol Hunt Saboteurs and whose terriermen were then stopped at a dig-out by a Three Counties Sab… who they also threatened) and the North Cotswold Hunt who were back in the Broad Marston area. Due to regular early-morning sett-blocking suspected to be done by hunt terriermen and supporters, we were up early to check setts in the area, finding fresh blocking on land adjacent to Norton Hall which the hunt later hunted on. Entrances were unblocked in order to give foxes a chance to escape from the hounds. 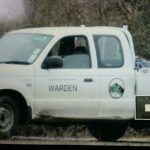 As the hunt moved off from their meet, terrierman Will Haines and two passengers rode their quadbike at two sabs from behind as they walked up a track to check on the sett where the attempted dig-out took place in October. Haines and falconer Calvin Crossman, who also attends North Cotswold Hunt meets as part of the hunt, both angrily accused one of these women of being a dog thief. Towards the end of the day a fox was spotted running through a garden by sabs. Huntsman Nigel Peel took hounds across the road and they picked up on the scent again, hounds racing into a small wood a couple of fields from the road. Sabs believed hounds to be marking to ground again, but with terriermen running towards the covert we suspected that hounds had instead killed a fox, hunt staff running in to get rid of the evidence. 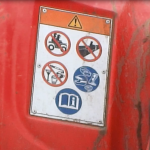 We ran in to try and gather footage and were on a footpath when Calvin Crossman (who had earlier swerved his quadbike towards one sab on a live railway crossing where hounds had been hunting) rode up on his quadbike (one-handed as he always has his eagle on his arm). He started to shove one sab around, yelling “thief” in her face, covering her in spit, before attempting to knee her in the groin and hit her in the throat. As another sab arrived, she attempted to move around Mr Crossman and says she believes he threw himself intentionally backwards, pulling her down on top of him. As they hit the floor, he pushed her off him and hit her in the left side of the jaw, shoving her head hard on to the ground. 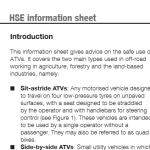 Sabs carried on towards the wood when a second quadbike appeared with three masked men on it, driving at speed at us. Mr Haines soon reappeared on his quadbike and tried to incite his mates into further violence by telling them that we had stolen the terrier. One sab went to A&E in Gloucester to be checked over for concussion and to have her shoulder and jaw x-rayed. Police are investigating the alleged theft of dog, which we have given statements about, the attempted dig-out in October and the assaults as well as the sett-blocking which is a very regular occurrence in hunt countries in the Cotswolds. Last month the terrierman of the Heythrop Hunt told one of our sabs that he would “do a twenty-stretch” for her because of the “dog theft”. All four of her tyres were slashed just a couple of weeks ago at another Heythrop meet. Calvin Crossman has more recently commented on a pro-hunting facebook page about our group which looks like he’s trying to cause us serious problems across all the hunts we attend. Update (due to certain pro-hunt people being all hysteric about this post): The owner of this sheep has been in touch saying that the sheep was already dead this morning but they did not have the chance to remove the body prior to the hunt coming along. We’ve left her comment up on facebook (as we usually do with everyone) so you can see what she’s said about it. It’s pretty clear from our original post that we are writing about what we’ve seen and not accusing anyone of anything specific. As we’ve said “we will try and solve this mystery”. If, in the meantime, people from whichever side of the fence wish to speculate or jump to conclusions they’re entitled to do so. But those pro-hunt people who are not linked with this hunt saying that anti-hunt people will believe just about anything and then going on to say that hounds definitely were not responsible are being a little hypocritical… if you weren’t there, you don’t know any more than what we’ve posted here. Cotswold Vale Farmer’s Hunt, Bromsash. We arrived late but they set off later. After bumping into terrierman Nick Hodges (he arrived later still) on Cutthroat Lane we were delayed by his lack of reversing skillls. Fortunately an elderly and fiesty lady who was late for a funeral berated him into getting out of the way. Simon the huntsman seemed to dither a bit and driving back onto Linton Ridge we saw one of the masters, Chris Golding (who is also signed up to the Gloucestershire badger cull btw), dragging a fresh sheep corpse over a considerable distance. He seemed a bit flustered and we were suprised that he didn’t drive into the field to pick up the body. Now Chris’s fiance has told 3C that she found the body at 08.00 when she fed the sheep. 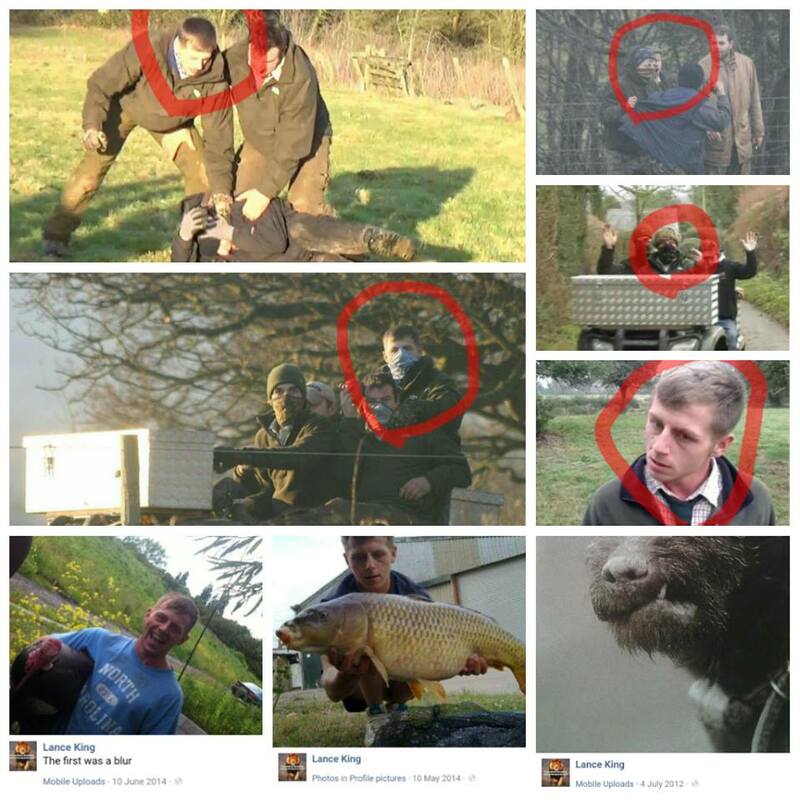 All we are saying is that the hunting fraternity have been known to tell fibs and the blood on the ground was fresh. We can only speculate as to what happened here did hounds kill this sheep? Did they try and eat up a sheep that was already dead? Did the sheep die and get eaten by foxes/ravens and other scavengers? We do point out that we do not know at this stage but 2 things to point out 1. it is not unknown for hounds to attack sheep, 2. sheep get cast and often suffer appalling deaths from exposure, predation, maggot infestation etc etc (which is why we are vegan). Anyway, it is what it is and we are keeping an open mind. They went on to whisk through the usual places, Withymoor, Cutthroat Lane, Warren Lane etc with not much else of note happening other than the police attending to esure that no laws were broken by either side. 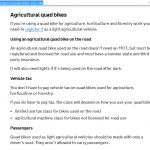 In short, if you’re saying you don’t need a reg plate because it’s an agricultural quadbike, you should only be moving from one bit of land to another, not following the hunt all day with passengers, otherwise you need a reg plate and insurance. 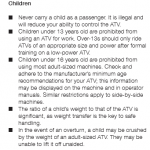 Additionally, having passengers when you’re not supposed to carry any makes handling harder on the ATV and you should also avoid speeding up quickly, turning hard and so on. 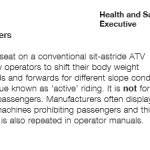 So you’re basically putting us and the public at risk by not adhering to ‘the rules’.